Will he take her back, or fling her aside like she deserves? Three years ago Amanda made the biggest mistake of her life when she let her friends persuade her to reject the guy she loved. They were convinced he was a loser and wasn’t good enough for her. Now Gregory’s back in Farmington . . . taller, stronger, hotter than ever, and worth millions. Those gorgeous girls who snubbed him before are now falling at his feet and he’s enjoying every moment of it. Can he see past the pain Amanda caused him and give her a second chance? Or will she forever regret losing the only guy who truly loved her? I guess this book has already come out, and I didn’t realize it! I loved the first 2 books in this series. Persuasion is my favorite of Jane Austen’s books so I’m really looking forward to reading this one. Oooh! 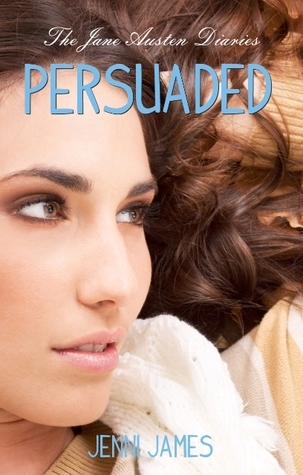 I love Persuaded as well, and I think I'll enjoy reading this! Great pick! I've recently read the first two in the series, and absolutey loved them. I haven't bought this one yet, though. Great pick! I'll have to check this one out! I've been wanting to read a Jenni James book! They look so good! I have the ebooks for the first couple of books! They look amazing and I don't know why I've been waiting to read them! Haha! Great choice! Stop by My WOW? Isn't that cover gorgeous?? 🙂 Totally agree with everyone! 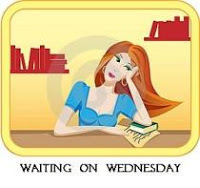 I've got to brush up on my Jane Austen before I start these cute re-tellings. 🙂 LOL I'm glad you don't have to wait for it! I still haven't read these books, but they sound so good! I should really fix that. I didn't realize there was three of them already! This one does look good…enjoy! And thanks for visiting my blog.